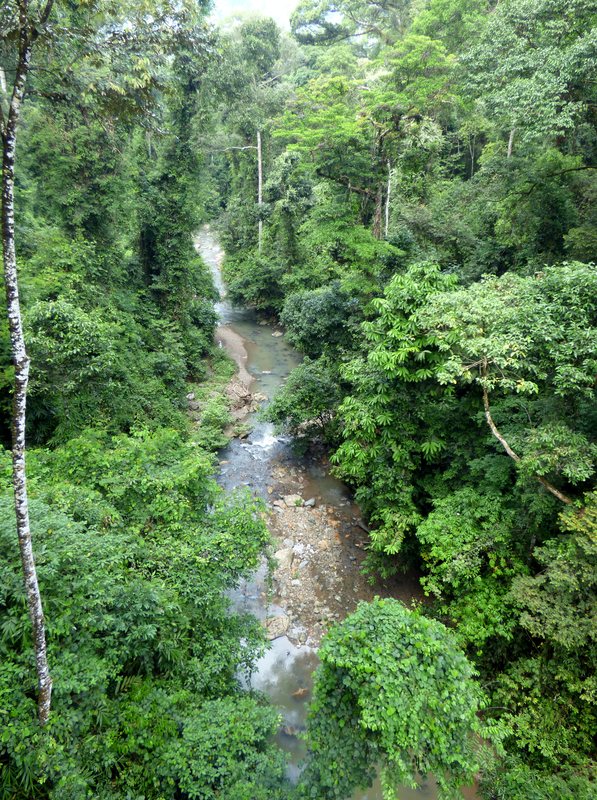 The final part of the Borneo account covers two lowland rainforest areas in eastern Sabah. 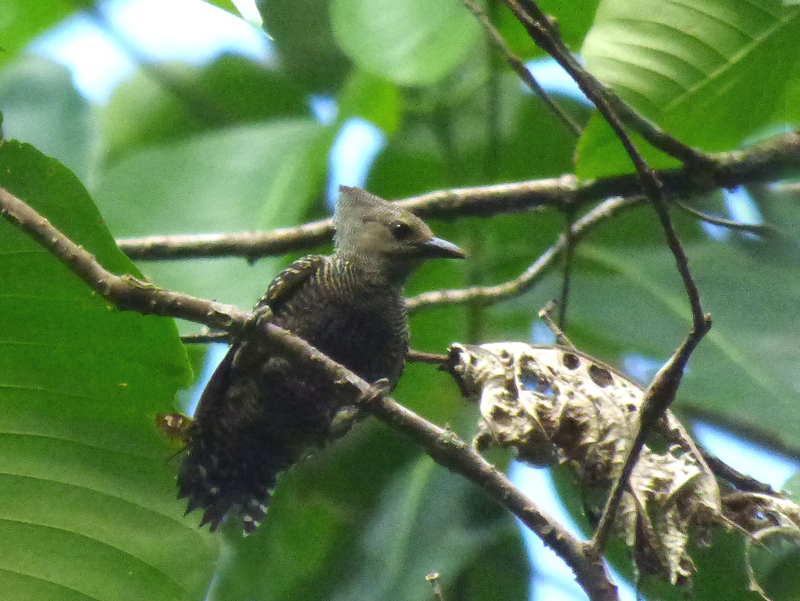 Danum Valley is a superb area of virgin rainforest but it can be rather hard to bird; on the other hand Tabin has been selectively logged and much of it is secondary growth surrounded by oil palm, so although it does not have as many key species as Danum, a lot of them are easier to see. 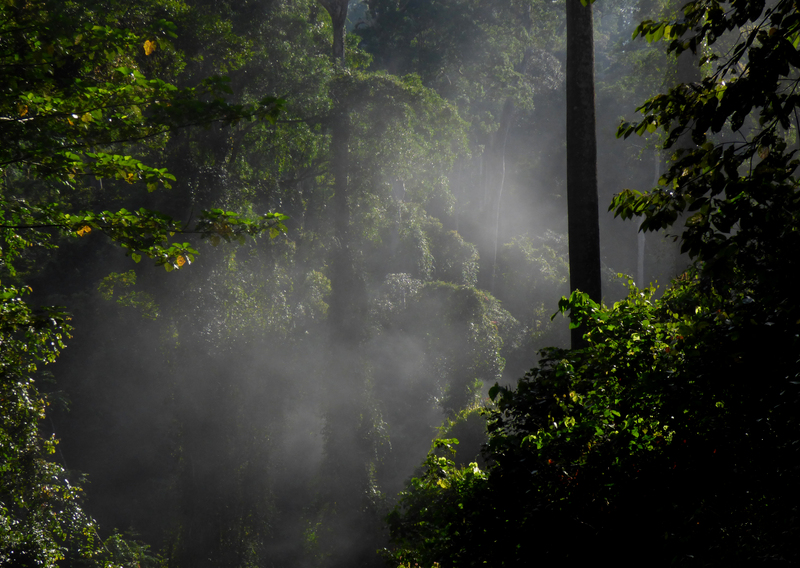 Tabin is particularly good for night drives as owls, civets and Leopard Cats leave the forest and go into the oil palm to hunt the many rats that occur there. We spent two nights at Tabin and four at Danum. 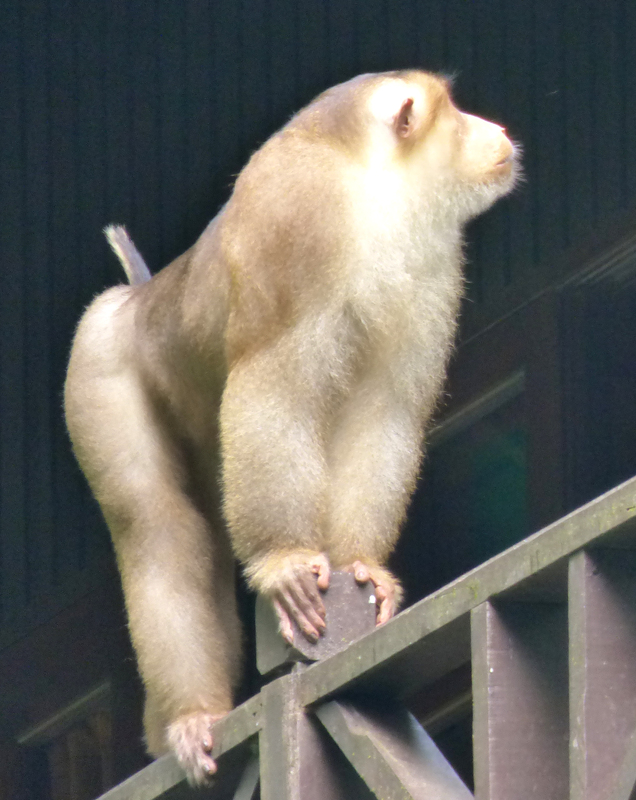 A large troop of Pig-tailed Macaques patrolled the area behind the chalets. 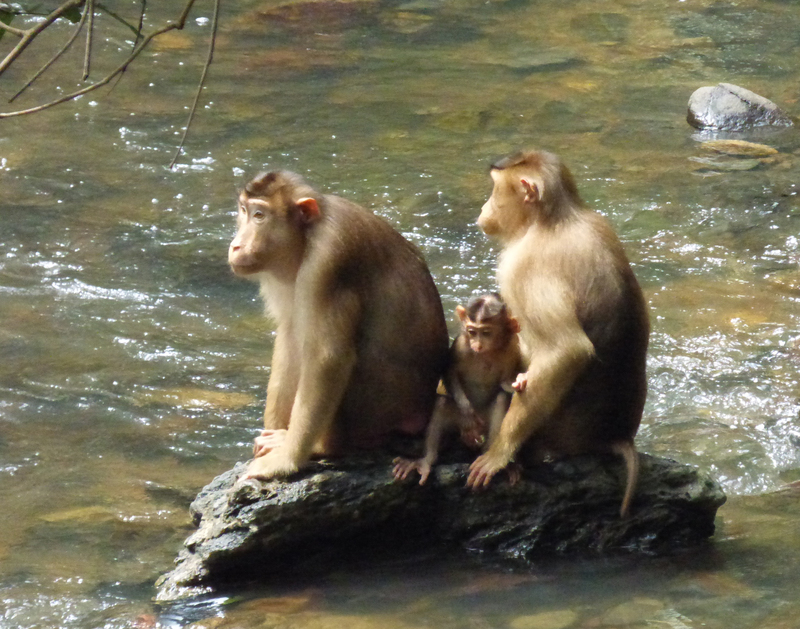 The females often took to sitting on the rocks mid-stream, keeping their youngsters out of trouble. 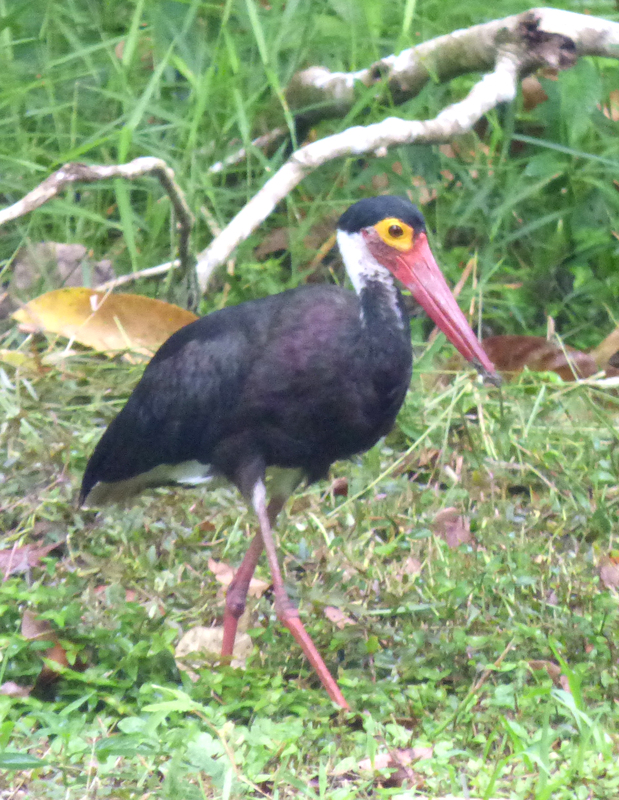 Normally seen only in flight or perched high in a tree, we were amazed to see this Storm’s Stork walking around in the open near the lodge. 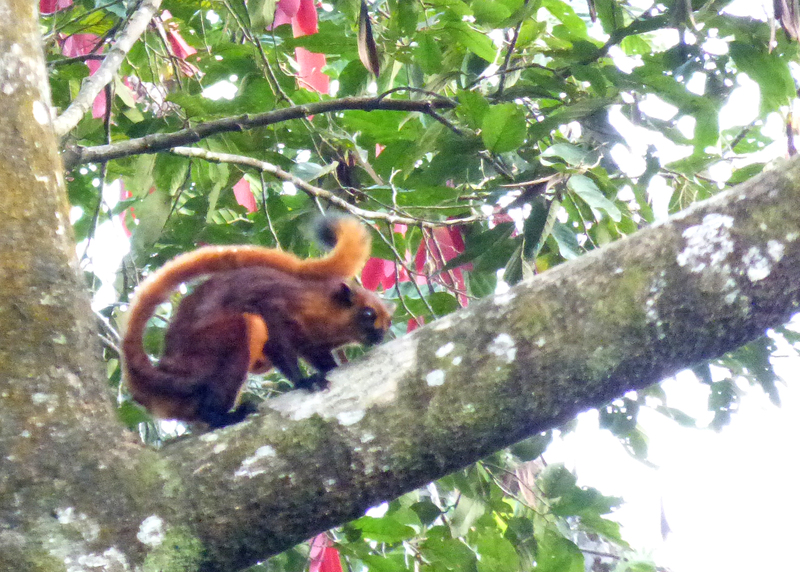 Flying Squirrels, including this Thomas’ Flying Squirrel were common at Tabin and Danum. 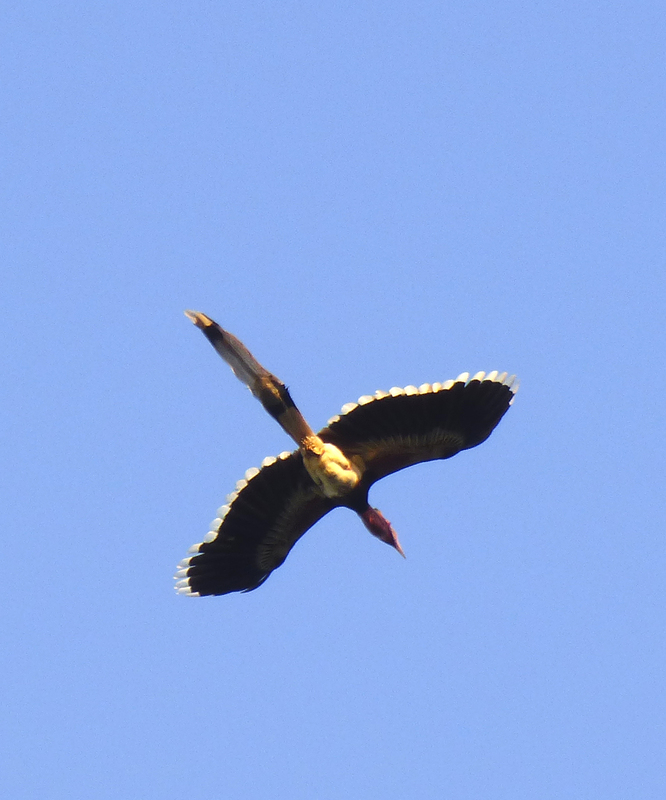 We even got to see them in flight. 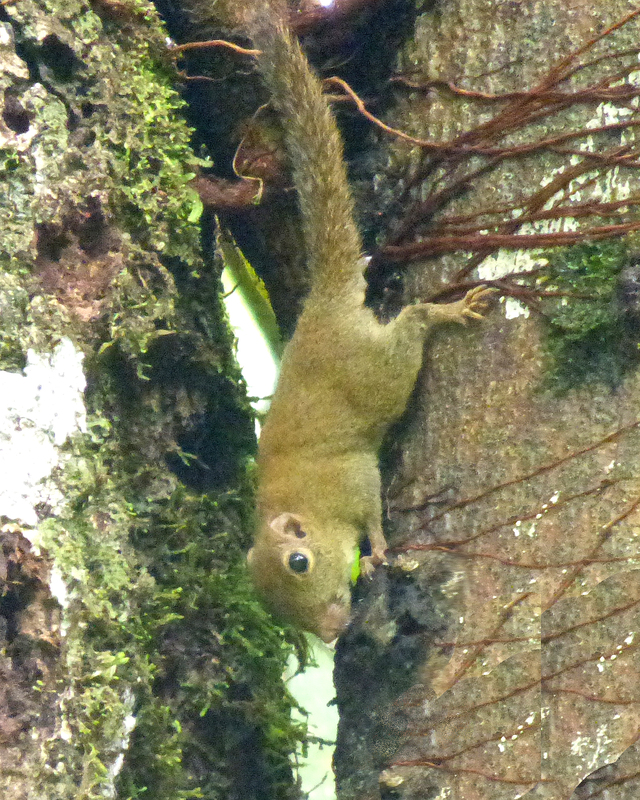 Far smaller was this diminutive Plain Pygmy Squirrel, perhaps the smallest squirrel in the world. 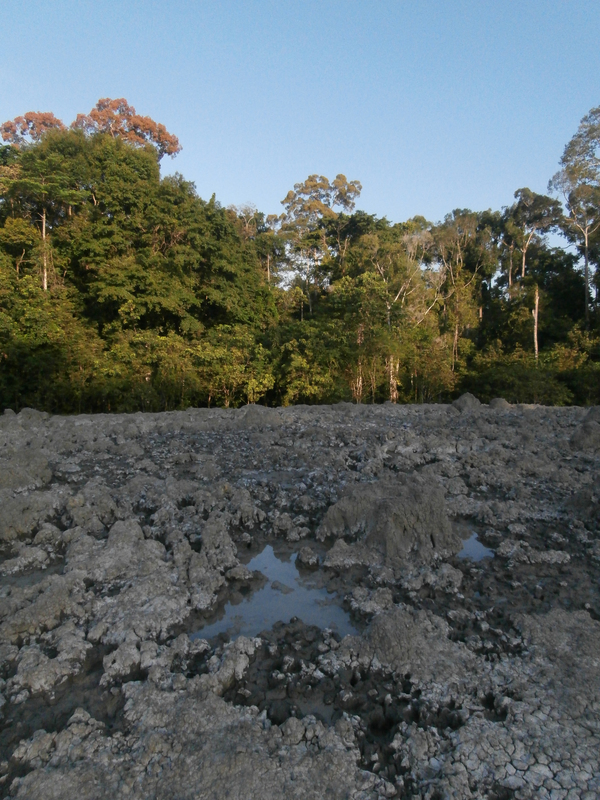 One trail led to the ‘mud volcano’. Heat from volcanic action pushes mud to the surface like a slow motion geysir. .. and perched up nicely for photos. 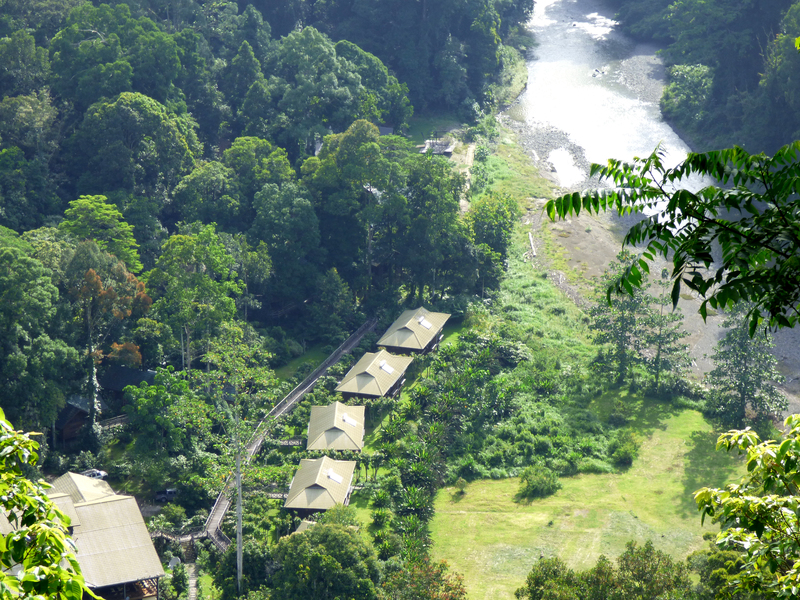 Danum Valley Lodge gives great accommodation and superb food – at a price! 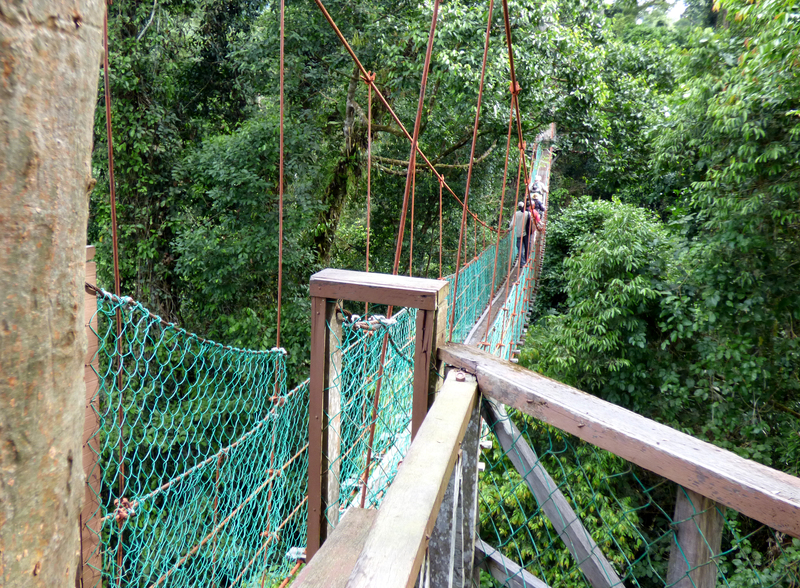 One of the features of Danum reserve is the canopy walkway …..
… which allows you to get great views into the tree tops, although moving around a swaying bridge to get good views is fraught with difficulty. One day we climbed the coffin cliff trail on the far side of the river, named as an ancient burial site of indigenous people was found there. 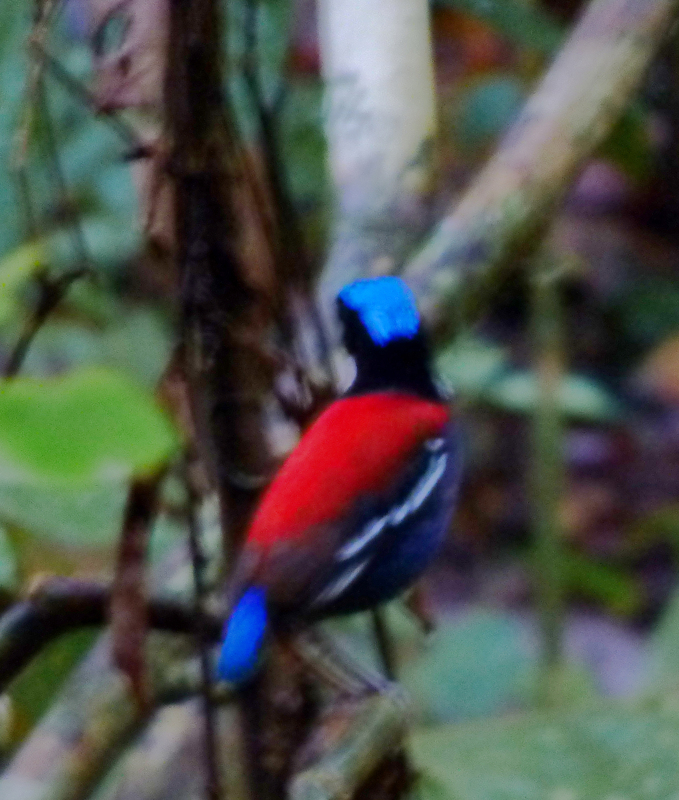 Climbing several hundred metres of elevation in the near 100% humidity was exhausting but was most rewarding – see photo of Blue Banded Pitta below. 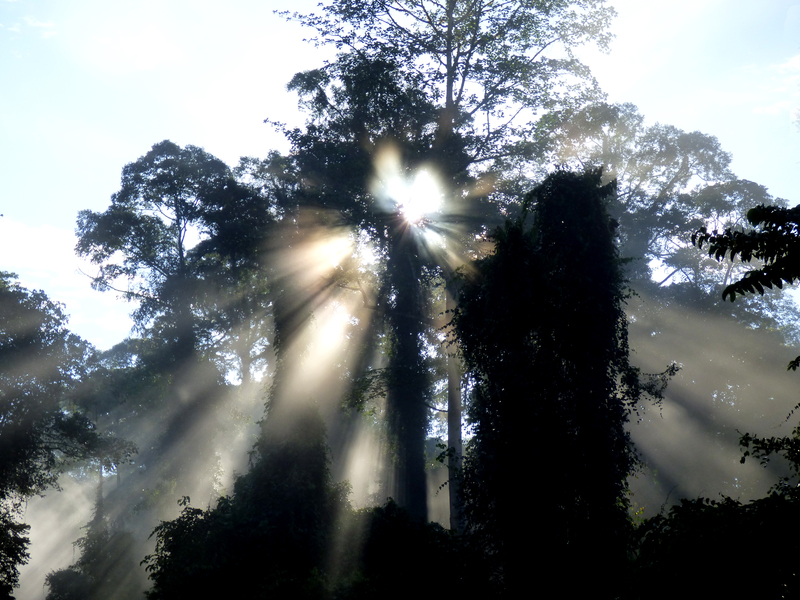 In such a hot and humid environment the early morning mists produced spectacular effects. Most days followed the same pattern, early morning along the roads then along the narrow trails once the birds became active. 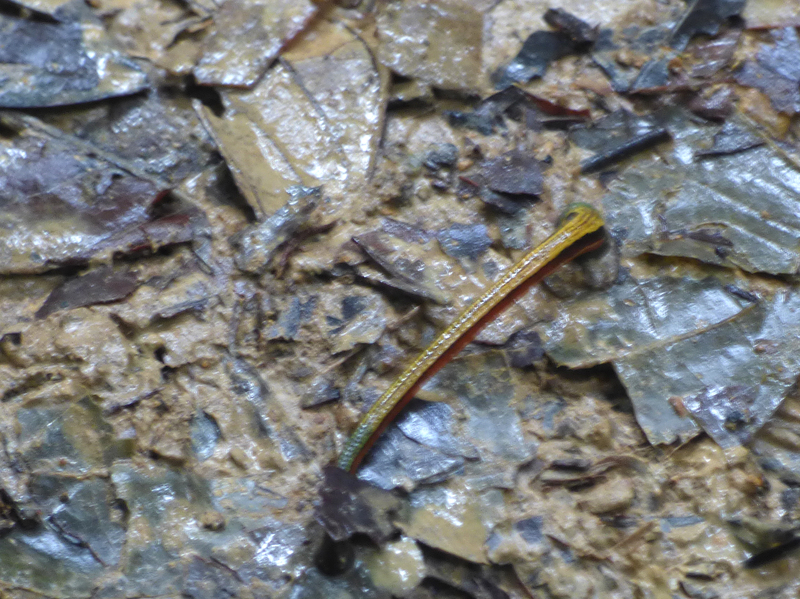 Along with heat and humidity, Asian tropical forests have another unpleasant feature – leechs. Initially they caused some consternation within the group but we soon got used to their presence and flicked most off before they could start blood sucking. I only got three leech bites but they took three or four weeks to completely heal. As well as wonderful birds and mammals Danum has a range of exquisite butterflies, I’m afraid I don’t know their names. 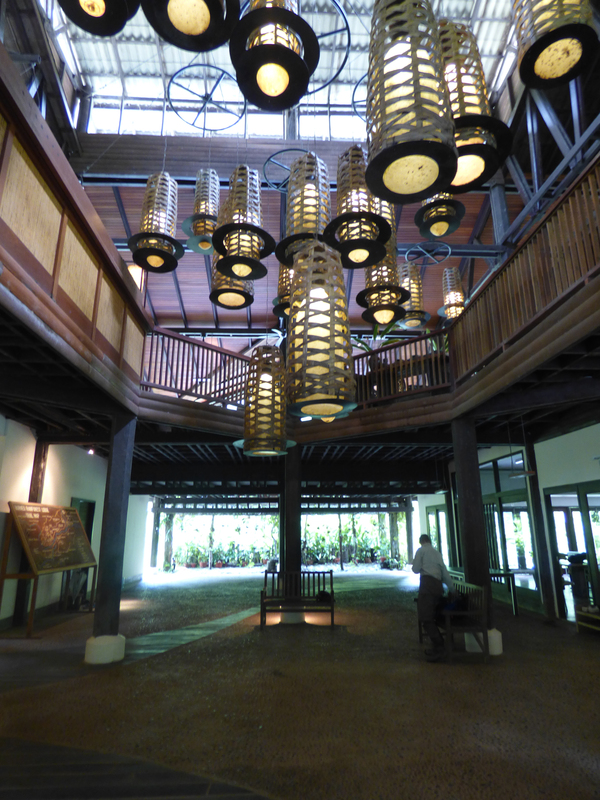 We did a night drive on each of our four nights at Danum. 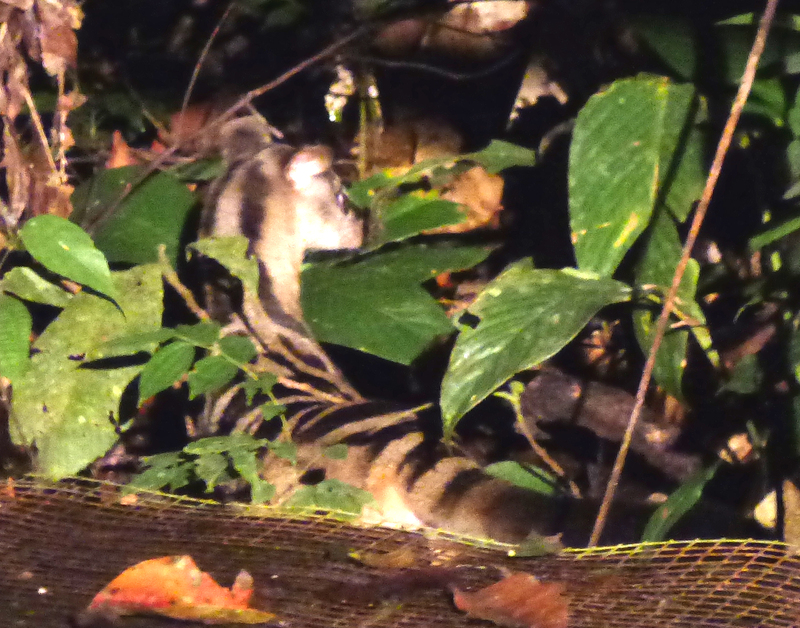 They weren’t as productive as at Tabin but we did come across this Banded Palm Civet. 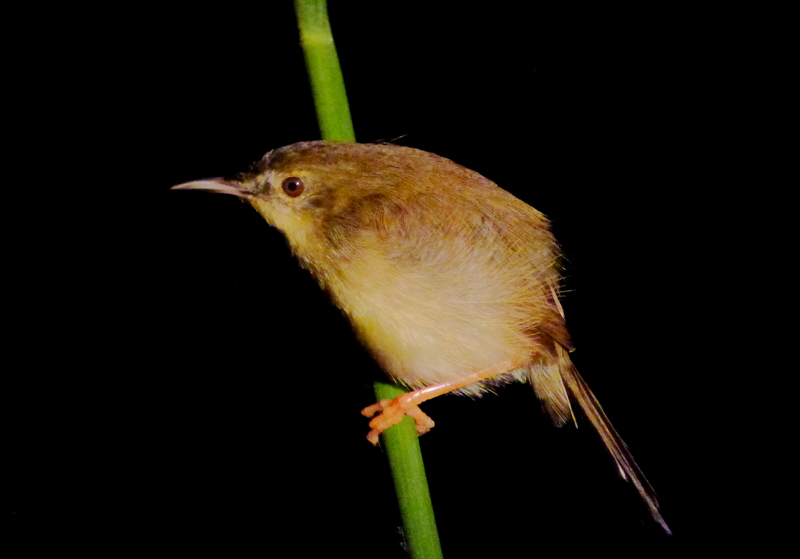 and a tiny roosting Yellow-bellied Prinia. But the best birds of Danum where the Pittas. Not needing to spend hours waiting for Bristleheads to appear gave us time to locate these mega elusive dwellers of the forest floor. Borneo has four endemic species of Pitta and either here or at Tabin and we saw them all. This Blue-banded Pitta required an exhausting hike up the coffin cliff trail but after a bit of effort we finally got great views of this seldom seen species. 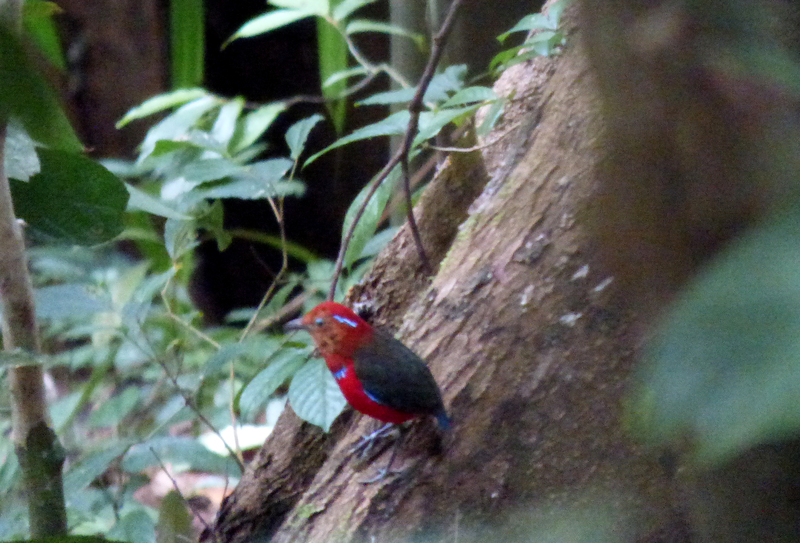 Near the lodge we came across this Blue-headed Pitta but light levels were very low and this was the best I could do. 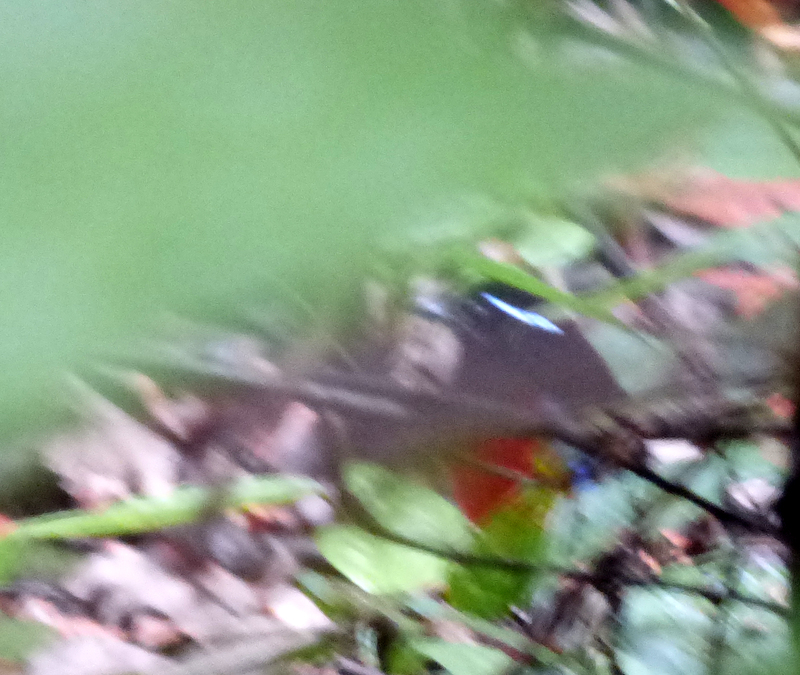 This murky shot of the another endemic, the Black-headed Pitta, pushes the definition of a ‘record shot’ to its limits. 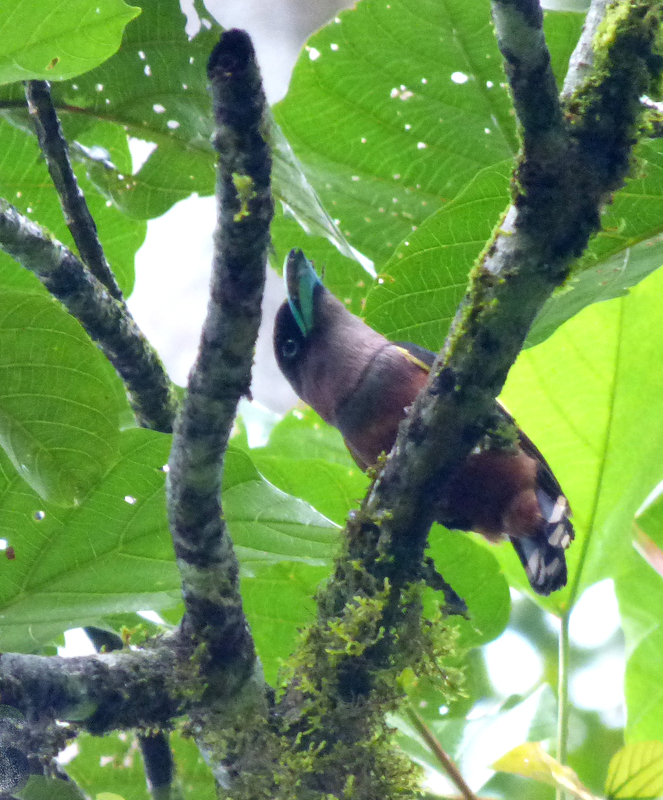 The final endemic Pitta is Bornean Banded Pitta which we saw (but couldn’t photograph) at Tabin. 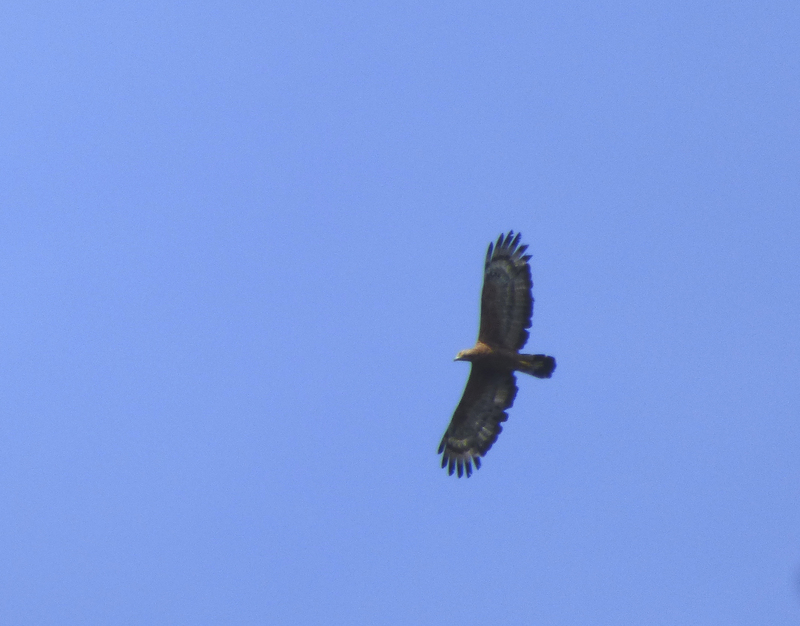 One of the final birds of the trip was this Crested Honey-buzzard soaring over the lodge on our final morning. And so concluded an excellent trip to Sabah in Borneo. 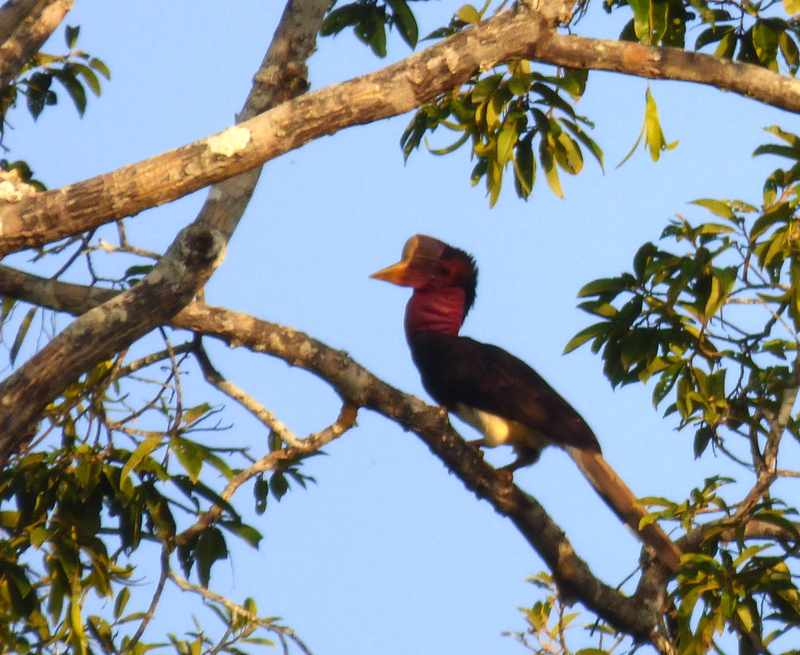 I had about 50 life birds and 25 life mammals including some megas like Orang Utan, Bornean Gibbon, Proboscis Monkey, Colugo, Binturong, Leopard Cat, Bearded Pig. 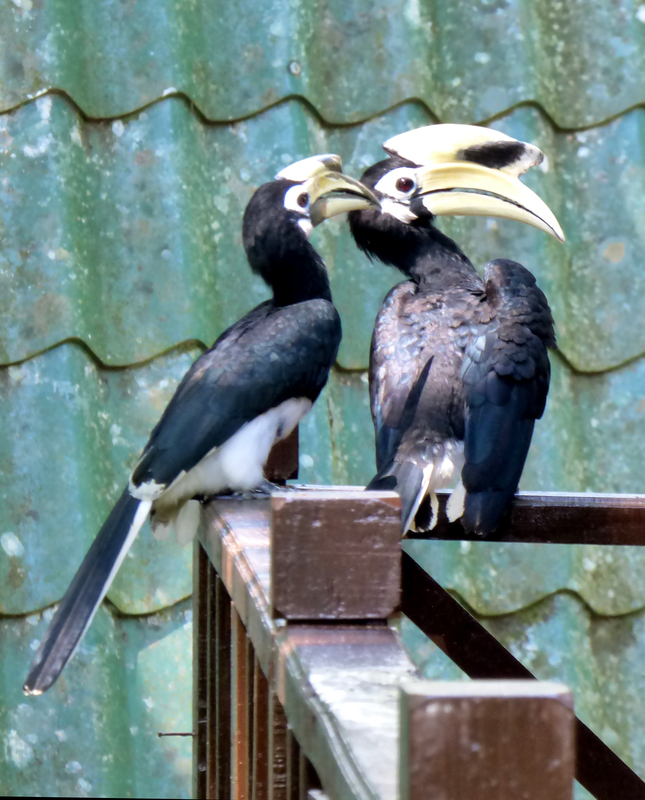 Of course on a trip like this you don’t see all the endemics, that would take multiple trips and require visits to the province of Sarawak and Indonesian Kalimantan, but we did very well indeed. Will I go back? 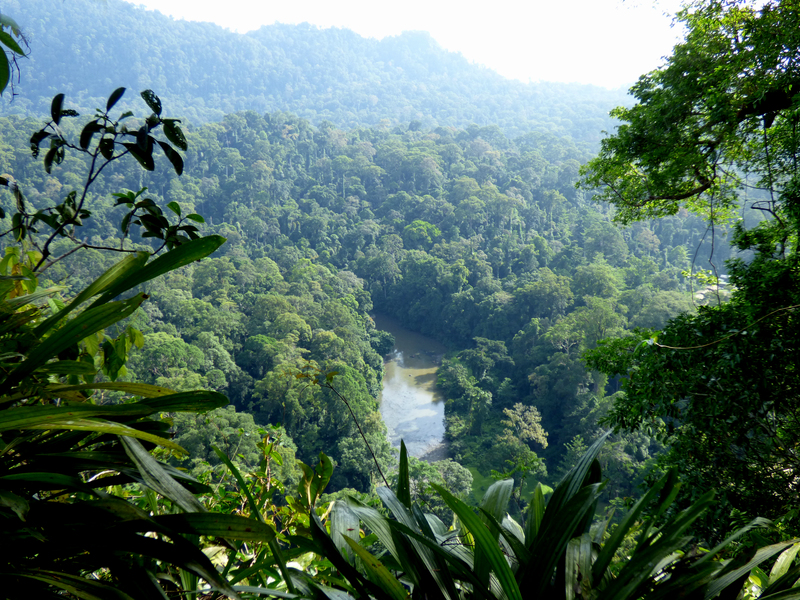 I can’t say for sure as there are so many wonderful places in the tropics to visit, but I highly recommend it to anyone with a love of wildlife. 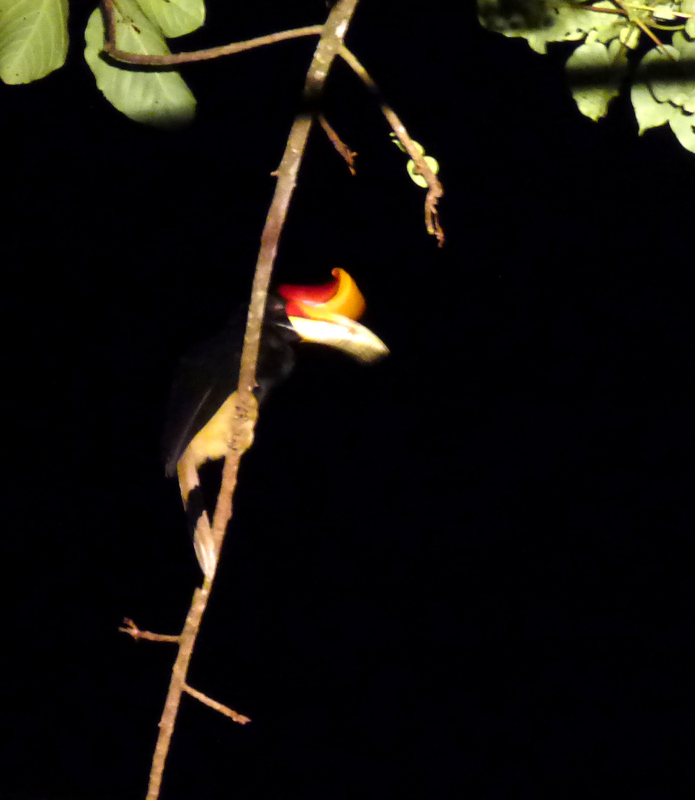 « 26th – 29th June 2014: Borneo – Gomantong Caves and the Kinabatanga River.